NapoleonCat.com is an analytics, engagement & publishing platform for social media marketing. "Highly effective tool for insights, reports and managing social media accounts." It is a very helpful and highly effective tool for insights, reports and managing accounts. Insights go far beyond FB stats, reports are generated automatically with the ability to edit the comments and personalize i.e. brading them. User friendly interface help managing multiple social media accounts but deviding them or merging into projects. None, pretty much. Any issues that have ever come up are immediately and effectively solved via live chat support. NC gives my team the possibility to manage FB accounts in terms of whole customer journey for agency clients - starting from initial situation analysis, going through insights for strategy building, finishing with constant monitoring and monthly reporting. It is a highly effective tool that gives a great support for a daily basis work in terms of end-customer effects, reaching agency clients communication and business goals and accounts administrators time optimization. "Great tool that is worth exploring"
NapoleonCat is a great tool used by us to work with our clients' social media profiles. Openness and willingness to look for a solution is the greatest advantage of the team. I appreciate them for their speed of response and willingness to help everytime we need support. From time to time some problems appear but it is typical for all digital tools. However, we immediately get information about the problems etc. from the team - it shows the transparency of the Napoleoncat. Many times, thanks to the knowledge and willingness to explore the subject, we managed to solve problems with the platforms supported by the tool. In addition, by exploring the capabilities of the NapoleonCat, we could offer our clients an extended version of the service. "Napoleon Cat - Great for massive comment management"
The fact I can create Automoderation rules that make the whole process automatic (saving the company dozens of working hours per week. Their Customer Service is very nice and professional. The UI is a bit slow when managing thousands of comments at the same time. But their development team is very responsive to solve technical issues. After trying many social management platforms - I must say NC is very fun to work with. We are an Agency, working with MANY facebook clients. We searched for a way to manage thousands of Dark Post comments from many different pages. Napoleon Cat solved this problem very quickly. It was extremely easy to understand and work with. The Automatic rules I define in NC work very well, and as an added bonus, I receive an email notification every time a rule applies. Their customer service is also very friendly and very quick to answer. NapoleonCat gives you access to comprehensive stats on your social media profile, presented in a easy and straightforward way. This also include stats not offered by other tools of a similar kind, such as activity index of top influencers, ranking of most engaging fans content, etc. Highly recommended! It's hard to dislike anything. I like both the features and the ease of use. Great social analytical tool, offering some great additional features not available elsewhere. NapoleonCat makes it possible to get a detailed stats on my fans, their activities and how they interact with my page. "Napoleon Cat for social media agency"
NC combines two areas: analytics and moderation. This is what we were looking for. Both areas offer clear UX. This is crucial for us - we are managing couple dozens social media profiles for our clients. The interface could be better - sometimes it works not the way user would expect. But I must add - this does not interrupts work with the tool. It's just a matter of comfort. Providing analytics for our clients and moderation. "Honest review from a 7 figure FB marketer"
I use NAPCAT for 1 main reason and ti works perfectly. It pulls all comments from all dark posts into 1 inbox. This was a nightmare before trying to keep track all all active/ non active ads for all the different campaigns i have running. It makes it super easy to get everything in one place and have my VA filter and reply. Maybe a little slow at times, but nothing terrible. monitoring all ad comments from both published and dark posts. Nate, thanks for your honest review. And for your information - we've just updated our automatic moderation engine to make it even faster in responding to users. "Several years experience in marketing (especially in social media and digital)." Usability of Napoleon Cat is very simple and of course is useful for every digital manager in my opinion. Really I don't know, because I very like this tool. First, when I monitore my profiles (and competition) in social media and interested hashtags, I feel comfortable that I won't miss anything. Second, I can export nice report (not only some numbers). Third, I like option when I can monitore comments on campaigns on Facebook, which are outside of fanpage. "We often use NapoleonCat to analyze social media campaigns"
NapoleonCat is a great tool. It works very well for our company in managing different social media channels and analysis. All data could be exported to xls or to custom pdf report. If we have any questions or want to customize the tool - customer team is always fast and helpful. They are making product improvements all the time. Access to historical data is limited, but this is a common issue for the tools in this category. Great software - time saver for analysts. "Great tool to manage and analise your social media"
We've used other platforms and after trialing NapoleonCat for the last month we've decided that this tool is the most comprehensive one. It is extremely simple to use and have excellent customer service. Implementation was smooth, we've had full support. Good value for money. None. We use NapoleonCat on a daily basis and we don't see any real down sides of this application. Reporting and analysis, managing multiple fan pages from 1 dashboard. It really saves time and helps us to deliver great reports. "Great tool for social media listening and moderation"
Some of the extra options are still in beta, but with a little help from Napoleon we haven't had any problems with them. We are using NapoleonCat for social media moderation purposes for one of our Clients. All platforms in one place, with a well organised structure of access for our moderation team. "Allows for multi-hashtag searches on Instagram"
Very helpful and responsive staff. Interface allowed us to run a contest that would have otherwise been impossible. While still totally functional, interface could use some clean up of minor bugs and imperfections. In order to run a contest on Instagram, we used NapoleonCat to enable refining our search to two specific hashtags, cutting out hundreds of thousands of irrelevant posts. 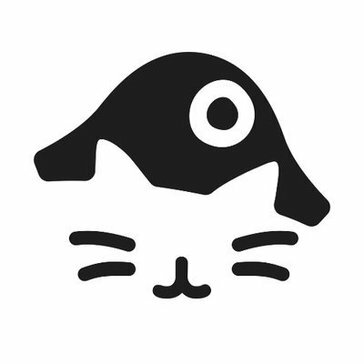 "Exceptional Customer Service and Easy to Use System"
NapoleonCat's easy to use system is amazing for monitoring and managing Facebook and Instagram comments. Also, if we ever experienced an issue, their Customer Service was always so willing to assist us and helped us figure out the issue. The only issue is that the time difference of the Customer Service Department which can cause delays in the issue being fixed. Perhaps they can hire more freelance workers in different parts of the world to accommodate everyone in a timely manner. We are able to communicate with our Facebook and Instagram followers in a timely manner. Before NapoleonCat, many comments were falling through the cracks and we could not keep up with managing them. "The Best Social Media Management & Analytics Tool"
I like the that napoleoncat is a tool with so many possibilities. In one place I have the ability to manage my profiles on many social media platforms, analyze competition and moderate discussion. I love their customer service! "Great tool for social media analysis"
Easy to use. Really clear that the people behind it understand the needs of a Social Media agency. Mats, thanks for your kind words! We're happy you find NapoleonCat useful. Napoleon allows us to pull in dark post and organic post comments from dozens of Facebook pages so that we can interact with our users. The Automoderation feature is very useful to manage comments that need to be removed or addressed based on a list of keywords. The customer support is top-notch; the minor issues we experienced were quickly addressed and we have now transitioned all of our pages over to Napoleon. A little slow at times, particular when loading a post with hundreds of comments. Saves time by allowing us to pull in comments from multiple Facebook Ad Accounts to one inbox. Our previous solution did not allow for this, so Napoleon is a great tool for Facebook advertisers. "I don't like cats except NapoleonCat"
I can mark the sentiments, whith is important for me. User interface could be more transparent but lat version is far better than the last one. I have problems with raports twice. They solve the problem in very efficient way. Maciej, thanks for your kind review. Sorry for the glitches you might have experienced with reports. We're currently working on improving our reporting module. "Thanks to NapoleonCat we are able to support our sales force in social media"
NapoleonCat is the only one tool on the market which in easy way helps companies to manage its sales force in social media. Thanks to very responsive customer service of NapoleonCat we are able to develop our social media projects and be always open for new opportunities. During 2 years of cooperation we haven't meet any issues. "BEST SOLUTION FOR SOCIAL MEDIA MONITORING!" Best solution for social media minitoring I've ever used! Very kind and proffesional support if needed! "Easy to use, and very helpful tool, especially for PR work "
NapoleonCat gives to me the ability to manage a lot of profiles from one place. It helps me save a lot of time in daily work. Especially when I have to manage a lot of profiles in one time. The only thing I dislike is the lack of ability to edit the published posts. Our work is more effective. NapoleonCat helps save our time. "Great tool that helps collect and anylize social media content"
Very helpful feature is chat online that made you able to contact with client service in the real time. Data about fan pages are since yours profile registration. What is great is that if you have any doubts or questions you can ask by chat and in real time you get professional support. I was looking for a tool that made me able to analyze all brand communication on facebook regardless of location. NapoleonCat allows you to analyze all posts what is good to benchmark competitors and KPI. It is a really nice tool with very intuitive interface, very crystal reposts and a lot of options. Napoleon has one for the best support team which I have ever worked. "Great tool for Social Media"
- easy to use, and you can always count on great support. I think there is nothing, maybe sometimes app is going slowly, but its not common :) So..
"A tool without which I cannot imagine working in social media"
The software meets all my needs. I am not able to find the bad sides. Kamil, thanks for your review. We appreciate your effort. "Smart and easy social media tool." I value the most combination of intuitive interface, comprehensive analysis and help desk support. These are top three features to make Napoleon Cat must have app for every social media manager. Price might be slightly lower, but overall it pays off. It's just great app. It helps to keep my work organized on multilevel project management. Additionally, it's comfortable communication platform for planned-in-advance post approvals. Prostota użytkowania, przyjaźni konsultanci. Rozwijanie ciągłe produktu. Generowane automatycznie raporty znacznie przyśpieszyły moją pracę. For time to time we have a problem with uploading photo from the link. NapoleonCat saves our time and makes our daily PR activities easier. "Effective tool for managing social media accounts"
User friendly interface and a helpful team that reacts quickly. I do not have access to this tool. Everything works smoothly. I am using NapoleonCat for social media moderation purposes. "Gr8 tool for social media mngt. " "NapoleonCat one of the best in category"
I found no negatives in NapoleonCat. Nothing to dislike. * We monitor all NapoleonCat.com reviews to prevent fraudulent reviews and keep review quality high. We do not post reviews by company employees or direct competitors. Validated reviews require the user to submit a screenshot of the product containing their user ID, in order to verify a user is an actual user of the product. Hi there! Are you looking to implement a solution like NapoleonCat.com?